Okay, I’ll admit it. 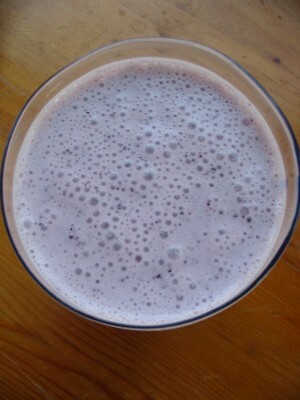 I am ADDICTED to homemade smoothies. I’ve been making them daily for some time and I know in my heart this is more than just a phase. It must be serious when banana or banana-berry isn’t enough… I find myself wandering produce aisles early in the morning, grabbing things I know I shouldn’t, and soon I’m home with a $4 fistful of out of season fruit. But I just can’t help myself. They’re so GOOD. And filling. And salt free.. and…. 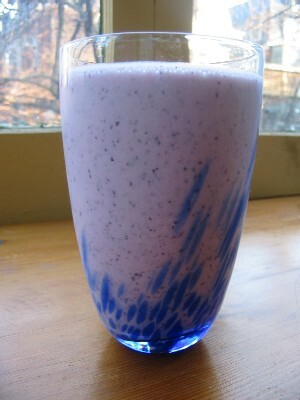 Place blueberries, yogurt, milk and honey in a blender or food processor and pulse briefly to combine. Add ice and blend well. Serve immediately.